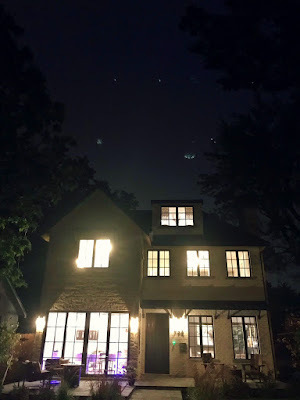 Denver Design Showhouse 2018 - Showcasing the art of Mirada Fine Art! 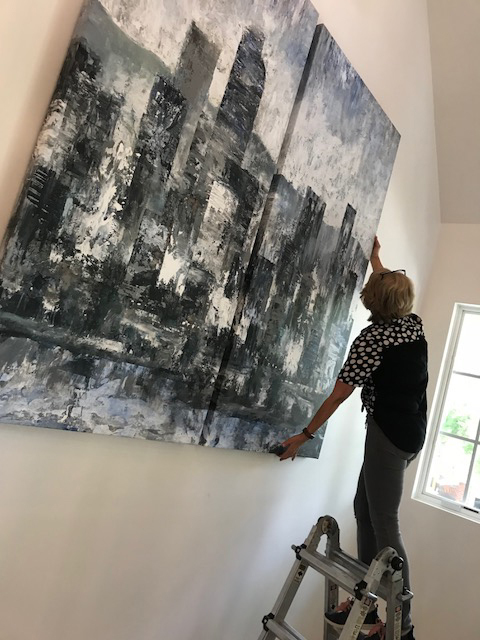 Mirada Fine Art is proud to be the sole provider of fine art to the 2018 Denver Life Designer Showhome benefiting Habitat for Humanity. 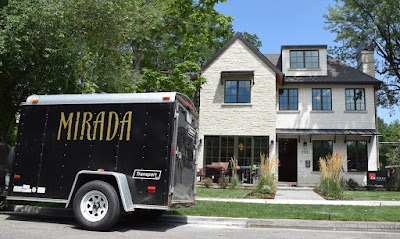 Denver Design Showhouse 2018 is filled with contemporary art from Mirada Fine Art. The 2018 Designer Showhouse is a collaborative effort between Denver Life Magazine, Caliber Construction, David Paauw Design, 15 different interior designers and Mirada Fine Art! The organizers hope to raise over $50,000 for Habitat for Humanity of Metro Denver. 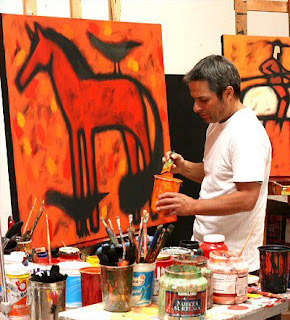 amazing diptych by the artist Bruce Marion. 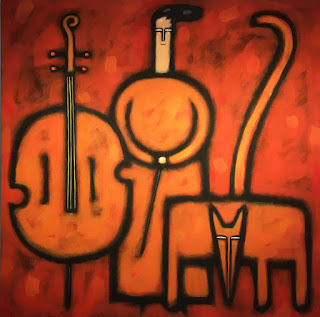 by the artist Danielle Hatherley). Open Tuesday-Thursday 10 a.m. to 4 p.m. and Friday-Sunday 10 a.m. to 7 p.m. There is a $20 donation per person at the door, with 100 percent of every dollar raised donated to Habitat for Humanity of Metro Denver. 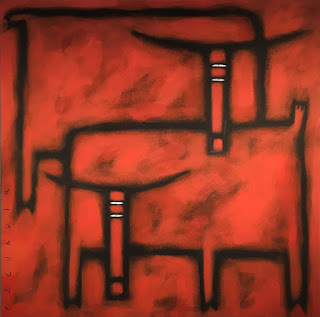 The address is 792 S. High St., Denver, CO.
contemporary artwork from Mirada Fine Art. Jean Richardson is now at Mirada Fine Art, and we are absolutely thrilled to have her paintings grace our walls! 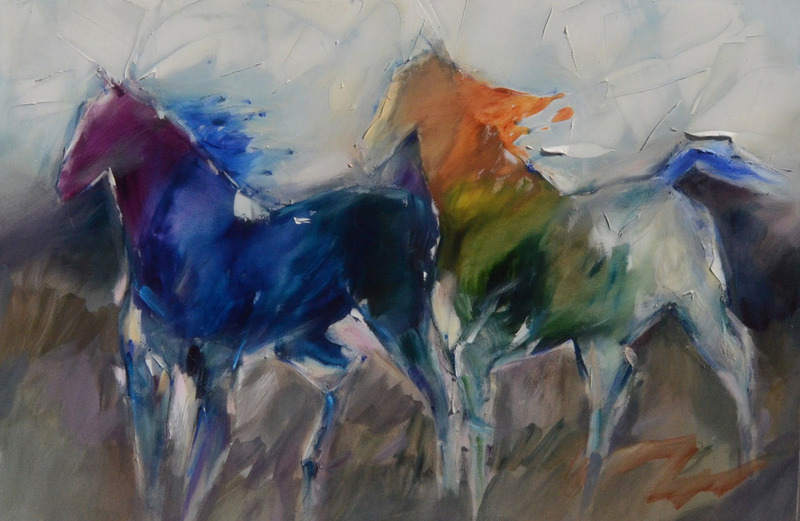 An image of the horse is what artist Jean Richardson believes to be the perfect vehicle to express the true subject of her work—the unbridled motion, energy and indomitable spirit of humans. Jean Richardson at Mirada Fine Art, Equinoctial, Acrylic on Canvas, 46" x 72"
Born and raised in Oklahoma, an admiration for the strength and beauty of her equine friends was almost inevitable. 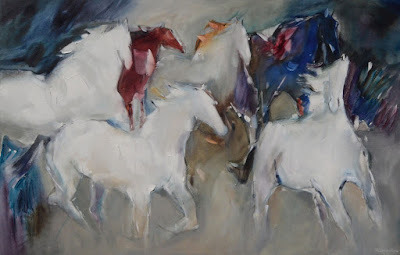 Entranced by the mythological aura of the horse throughout history, as well as the real-life beauty of the magnificent animals, Ms. Richardson has always felt they encapsulated the oft restless, sometimes heroic, efforts of their two-legged counterparts. Acrylic on Canvas, 60" x 50"
Armed with a Bachelors of Fine Art degree from Wesleyan College, Jean strengthened her technical abilities with the Art Students League in New York. 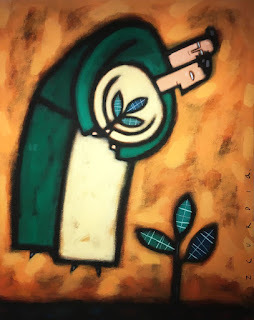 Having mastered painterly skills, she went on to develop her own distinctive style. 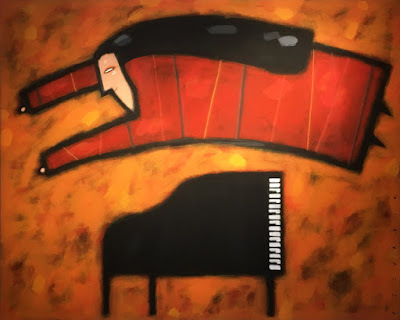 Frequently working in very large formats, loose brushstrokes combine with ridges of palette knife color, bringing to life the simultaneously resolute and passionate spirit of her pieces. 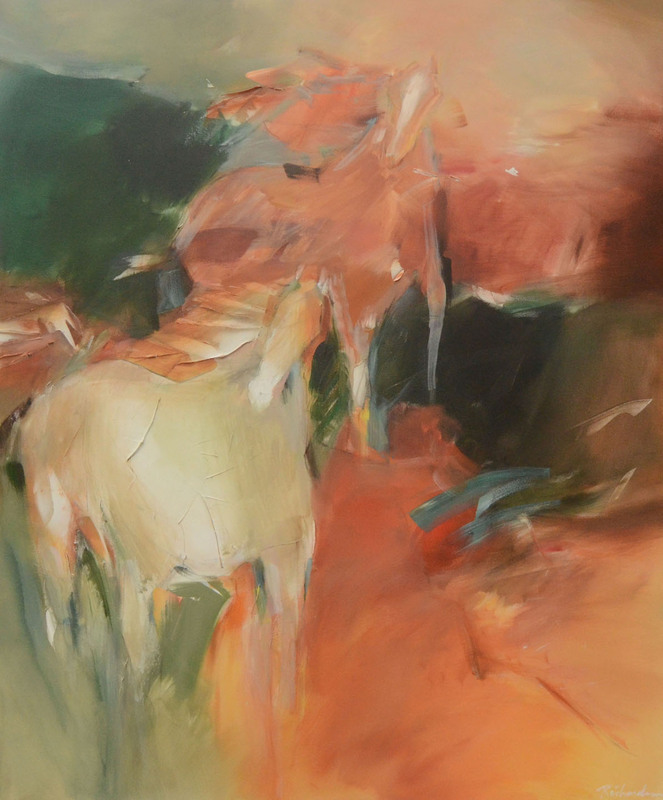 Almost hidden within this kaleidoscopic energy, the expressionist beauty of horses develops, prancing stomping and leaping across her canvasses. Acrylic on Canvas, 40" x 60"
Throughout several decades, Jean Richardson’s work has become a mainstay of both public and private collections. 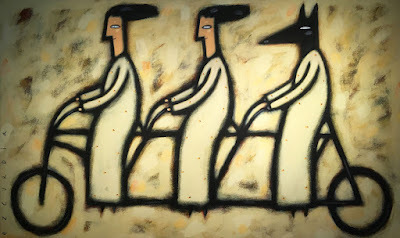 She is frequently featured in museums, design academies and national art publications throughout the United States. 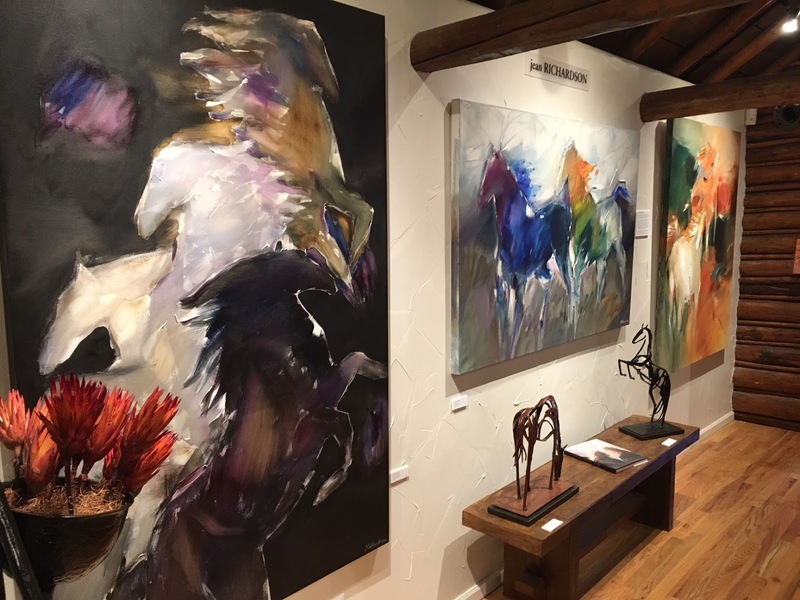 Mirada Fine Art is the only gallery in Colorado to represent her incredible work! Best Art Gallery in Denver! 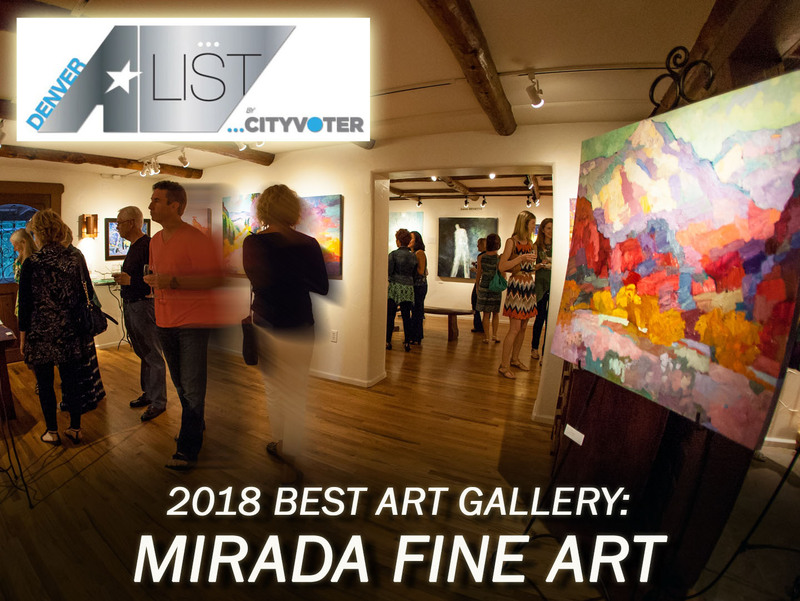 For the third year in a row Mirada Fine Art was voted the Best Art Gallery in Denver by the Denver A-List. Mirada has now proudly received this recognition in 2016, 2017 and 2018. We truly appreciate everyone who voted for us. Best Art Gallery in Denver is Mirada Fine Art based on the Denver A-List for the last three years: 2016, 2017 & 2018. This is a tremendous honor for Mirada Fine Art and continues a long history of such awards. Mirada was also named one of the 'Best 25 Art Galleries in the United States' by the American Art Awards in 2013, 2014 and 2015. Westword Newspaper named Mirada Fine Art the 'Best Denver Gallery for Established Artists' in 2017. Mirada has received similar honors from Denver Life Magazine, The Culture Trip, Colorado Homes & Lifestyles, and many other publications.